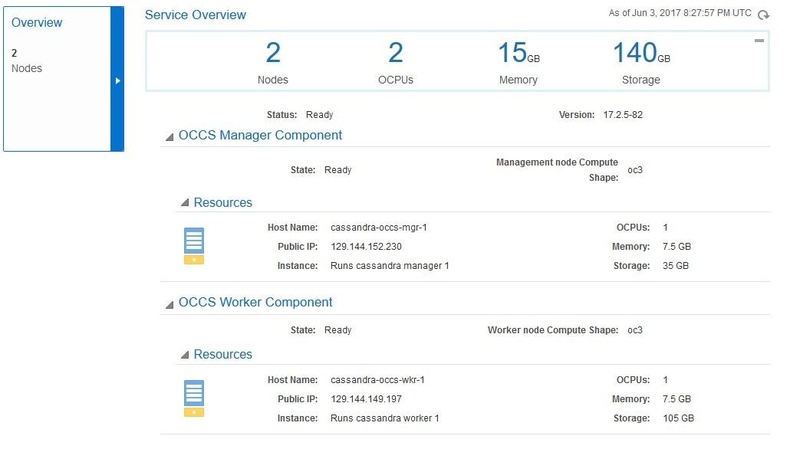 In this article we will show you how to deploy Cassandra to Oracle Container Cloud Service with Docker on Oracle Cloud. To do this, you need to create a container as the single instance only on Oracle Container instances. Development with Docker instances is popular among software development teams because it simplifies the process of building and shipping apps. It is mostly used in Dev or RC for testing to save the time. 2. 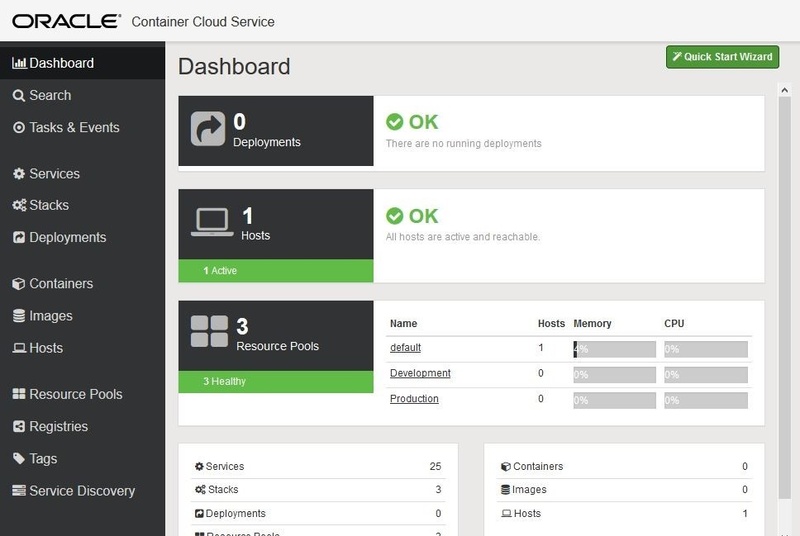 Finally, review the configuration and click Create to create your container service. After you click the Create button your Container Service provisioning starts. 3. 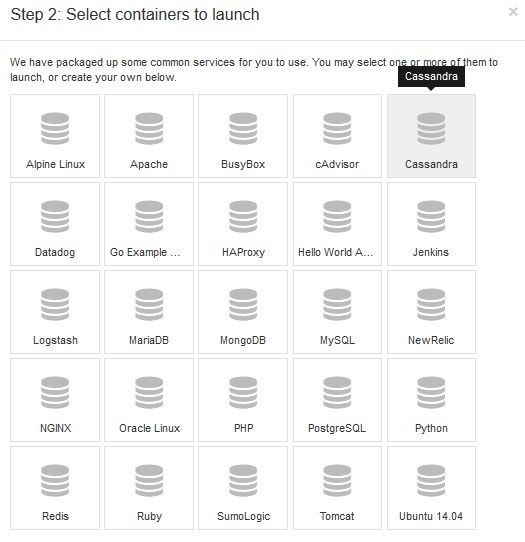 Click the service name (Cassandra) to open the main page of the container (shown below). 4. Select the Manage this Service dropdown icon to select the Container Console. 6. Click on the Quick Start Wizard from Dashboard. 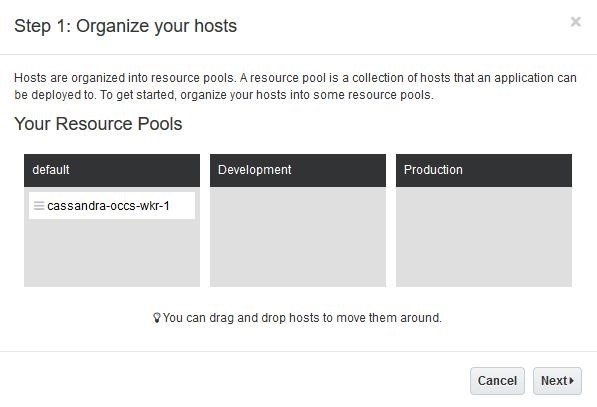 Step 1: Select the default Resource Pool and Then click Next to continue. 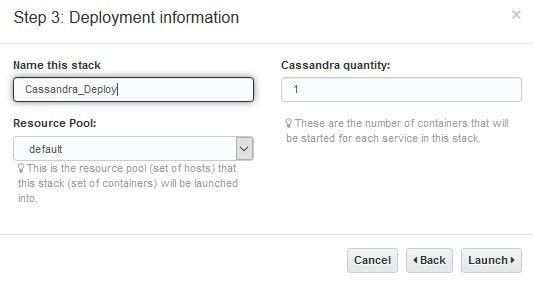 Step 2: Select the Cassandra from containers launch menu and then click Next to continue. Step 3: Enter the Name of stack and click Launch to deploy Cassandra on your container service. After a few minutes, your deployment will complete. After sucessful installation , your display will look as shown below. 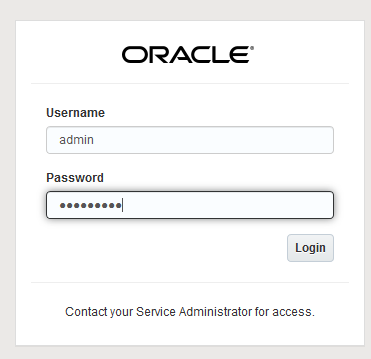 Step 1: With a successful deployment, we need to get the Public IP to login to the server. To get the Public IP, Click on Hosts in Cloud Container. Step 1: Open instance of the PuTTY executable and connect to the machine using SSH public key and Public IP. 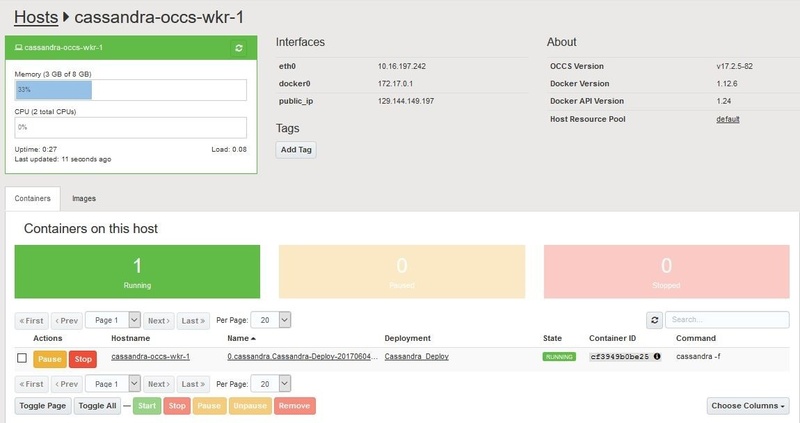 Step 2: Check the docker status and connect to Cassandra with cqlsh. Connected to Test Cluster at 172.17.0.2:9042. So now you know that it is very easy to deploy Cassandra on Container Cloud Services with Docker. Skant Gupta is an Oracle Certified Cloud Professional in Oracle Database 12c, an Oracle Certified Expert in Oracle Real Application Clusters (Oracle RAC) in Oracle Database 11g and 12c, and an Oracle Exadata Certified and an Oracle Certified Professional in Oracle Database 10g, 11g, and 12c. He works at Vodafone Technology in the UK and formerly worked as a senior DBA at Etisalat in Dubai. He has six years of experience with various Oracle technologies, focusing mainly on Cloud, database, and high availability solutions, Oracle WebLogic Suite, Oracle Exadata and Oracle GoldenGate. He has presented at several Oracle user groups worldwide, most recently in the US, the United Arab Emirates, and the India. He is also Technical Writer on http://www.oracle.com/technetwork/es/articles/index.html and http://www.oracle.com/technetwork/pt/articles/index.html with more than 30 article published in Oracle Technical Network.